I welcome you Atilla at SANGKRIT, please tell our netizens about yourself. How exactly your idea sparked for Bealdin Internet Genie and what makes your endeavours unique on Internet ? First of all, I would like to thank you Shardul for this opportunity to express our ideas. My name is Atilla Coskun. I’m from Istanbul, Turkey. I am the founder of Bealdin Internet Genie and the leader of Bealdin project. I educated engineering and have worked in different areas of business. I’m one of the lucky persons who could experience the Internet since its beginning and have been always looking for the ways of making it better. Many people are satisfied with the current Internet, but I’m not. I’m so bored to encounter with business in every corner of the Internet, some conditional, “so called” free services, manipulated information. So tired to be merely one of the visitors or one of the thousands to build attractive statistics of page views on websites, to be a target of irrelevant ad words, banners, to receive spam and to be imprisoned by unreasonable human Chains of Social Networks. It really annoys me to see that day by day people are more persuaded about “no privacy “.You would say: “If you dislike the way Internet works, then do not use it.” We came up with a better idea – to change it to the better. Question is why should we use human networks such as Social Networks, Business Networks, topic networks and so on? Why do we need the chains of friends and their friends to reach someone or to share something? What about “An Invisible Network of Interests”? Let me explain how it works. For example, if I say ”I like sushi”, I am automatically interconnected to “sushi” information and in indirect way I am interconnected to people who are also interconnected to “sushi” information. Consider that I’m anonymous, and all other people are as well. In any case, if I need to talk to someone about “Sushi”, I am able to reach them easily, and they can reach me easily as well. No identities, no friendship, no human chains. Imagine that in this way I can find real friends with a lot of common interests, and it would be much more valuable than “so called” friendships on Social Networks. If I share info about “Sushi”, I’m sure that all people who like “Sushi” will receive my share, worldwide, while all of us remain anonymous. “Sushi” was just an example. Persons can express their wishes, demands, desires, troubles on Invisible Network of Interests and can be easily interconnected to related persons while remaining anonymous. This is unconditional freedom. Does ‘Invisible Network of Interests’ already exist on Internet ? The Invisible Network of Information already exists on the Internet, and it is called Semantic Web. Invisible Network of Interests is what Bealdin Internet Genie aims to do. Bealdin is a multi-disciplinary, multinational project, in which Universities and various organizations of the Europe and the World are involved. We will integrate Bealdin Users into the Semantic Web anonymously through their wishes, demands, desires, interests. Therefore Internet users will be interconnected to each other and the other things on the Internet through Invisible Network of Interests. All they will do is making wishes in Bealdin Conversation, and Bealdin Internet Genie will take care of all other processes. We explained these details on Bealdin project web site. How ‘Bealdin Internet Genie’ will improve professional lives of its users ? It’s very simple logic. We, Netizens, are personal users of the Internet, we are consumers of products and services, we are citizens of our countries, and the audience of the science. Based on our demands, needs, desires and interests, we need business, politics and science to inform us about the things they have to offer. It can be a discount, a free service, a public research or a job offer. But what is so important, there are no ad words, ad banners or commercials in Bealdin interfaces to annoy personal users. But we would all agree to receive some relevant and interesting offers for our personal benefits, don’t we? On the other side, we all have professional lives. Whether working for a company or being a freelancer, an artist, craftsman, an author, or a musician – for the sake of our professional lives we should reach the people we require for our job, reach consumers, audiences, partners, employees and so on. Bealdin Internet genie assists professional needs of personal users by the means of The Invisible Network of Interests. See more info about Bealdin Assistance services here. I have 2 messages for Netizens. First one is: Please get your Internet back. Without you, personal users, Internet is nothing. Reconsider please. Major Internet services are always proud of their website metrics – the number of members, fans, the traffic they get, the number of page views. It is you who creates this numbers. You should ask for more respect. My second message is about our Indiegogo Campaign. This campaign is not only about crowdfunding, but about getting approved by Internet users, Netizens. I ask you to support Bealdin Internet Genie. Make a contribution and spread the word about it. As I previously said, without Netizens, Internet is nothing, nor is Bealdin Internet Genie. I am open for interviewing all those individuals, who own their domain to somehow create virtual wealth in webspace since sustaining freedom is mostly built around domains running wonderful utilities in webspace that human­beings enjoy. What is your opinion for continuing this? Thanks for asking this question. I exactly agree with you that, Internet could be more colorful with the involvement of non-expert users who have their own domains and share their ideas, experiences on the Internet. I exactly support this idea. On the other hand, It is a job which takes time, requires courage and entrepreneurship. That is why Internet users usually prefer not to own domains and publish something on the Internet but read, watch and click on “Like” or “Share” buttons of other domains. WebID would be a solution before owning domains; which would encourage Internet users by making them understand that, “People would really like to be the audience of your experiences, ideas, thoughts because they are unique as you are”. Bealdin Internet Genie also provides WebID protocols and enables its users to publish their ideas through the social profiles in HTML Format. Thank you very much Atilla for opting Internet as your place of doing business. I wish you success in upgrading humanity! Investintech.Com is a well-known PDF solutions provider. They offer a wide range of both fully free and affordable products for creating and converting PDF files. Their flagship product is called Able2Extract PDF Converter, which comes in two versions: Standard and Professional. Their standard Able2Extract PDF Converter 8 release offers advanced technology for converting PDF to Word, Excel, PowerPoint, Publisher, AutoCAD, HTML, and more. The professional version additionally offers the most advanced OCR capabilities, which enable users to convert virtually any PDF – native or scanned. So, today we speak with the Investintech team to find out a bit more about their entrepreneurial venture and possibly gain some insight into how to start and grow a tech company today. 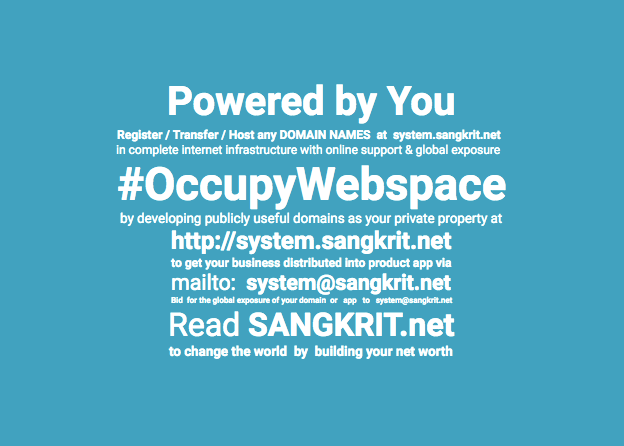 I welcome you all at SANGKRIT, please tell our netizens about yourself ? We got our start at a time when the PDF conversion software niche was just in its infancy back in 2002. The company started as a school summer project and through time, has evolved into something much larger. Our breakthrough was in 2004, when we were the first company to offer both PDF to Excel and PDF to Word conversion in a single product. In fact, we were eventually the first on the market to offer PDF to PowerPoint as well. The niche has grown over the years but has also gotten more competitive as new players have entered the market and copied our approach. Today, we are the only PDF conversion company to have products that use our own technology across all the major platforms – Windows, Mac, Linux, cloud, and mobile (iOS and Android). Our team continues to be very excited about building new products and continuing to improve our PDF technology in the coming years. As a tech company, operating mostly in the webspace, we endeavor to encourage and empower people to use the Internet and technology to simplify their personal and business processes, increase productivity and ultimately save time. From our side, we are constantly striving to supply netizens and businesspeople with cutting-edge PDF products that will allow them to make the most of their documents and files with minimal costs, invested time and effort. Equally, if not even more important for humankind and long term environment sustainability, we strongly believe and support electronic document management, manipulation, storing and archiving with our products. PDF, as a universal file format which can be opened and viewed on any device, using any platform, is perfect for exchanging, saving and filing important business, school, personal, or any other kind of files. In order to support this view and provide as many people as possible with powerful PDF manipulation solutions, we gladly offer a range of fully free PDF tools which everyone is welcome to use. That way, even our fellow netizens who can’t afford commercial PDF tools can peruse high quality PDF conversion and creation tools. For example, let’s just mention our free mobile PDF apps for smartphones and tablets running on both Android and iOS platforms. Another very popular online converter is our free DOCX to DOC service. We are aware that many people are using earlier MS Office releases and are struggling to open and edit .docx files. Having recognized this need, we saw an opportunity to help them with this handy free tool. The Internet gives us access to an almost limitless number of resources and opportunities. Therefore, we would like to encourage people to use it to their benefits and spread their knowledge and discoveries freely, but to also respect others’ copyrights and intent. Let us all use the Internet to reinforce learning, cross-cultural understanding, peace, environment protection and the exchange of knowledge and other assets, without hurting or damaging anyone. The Internet and its riches belong to everyone, but not everything on the net is intended to be there or shared and used without obtaining rights first. Let’s keep that in mind and abide by it. I am open for interviewing all those individuals who own their domain to somehow create virtual wealth in webspace since sustaining freedom is mostly built around domains running wonderful utilities in webspace that human-beings enjoy. What is your opinion for continuing this? That is a great practice! It is extremely valuable for netizens to get insight into the world and experiences of other website owners and entrepreneurs. That way, people can maybe even get an idea for their own venture and how to use the Internet for business purposes. So, continuing to reach out to website owners and successful enterprises, and interviewing with them is an excellent way to create value and possibly help both chance and regular visitors of your website. The Investintech team wishes you lots of success!